If you don’t think your organization is creative enough to implement design thinking, think again. 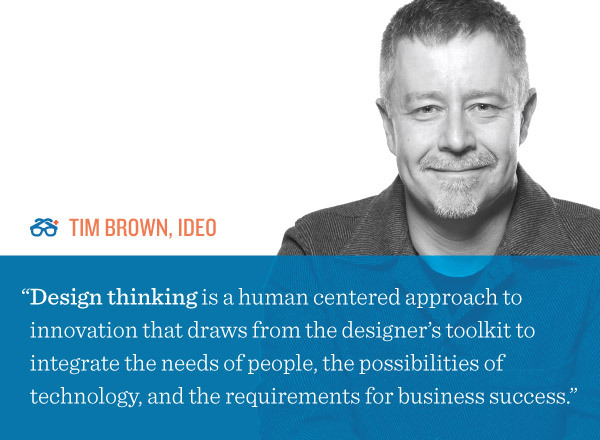 Design thinking isn’t about how good you are at design tools such as Photoshop, but rather it’s about using human elements when figuring out how to create products that address the real needs of people. Using the design thinking process, everyone is a designer and design is everywhere – the way you plan out your day, the way you arrange furniture in your room, the way you match clothes. In the corporate setting, it’s important to find out and integrate the end users’ needs from the beginning, so that you don’t end up spending all your time solving the wrong problem. 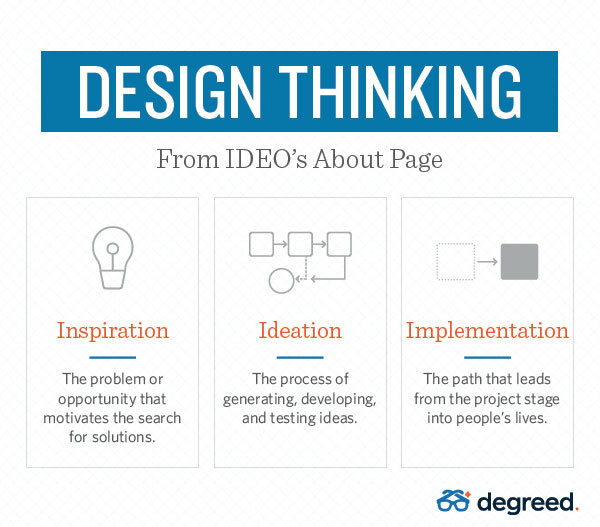 As Degreed’s Project Manager Ryan Seamons pointed out on the Design Thinking webinar with Chief Learning Officer, it’s important to realize that design thinking isn’t something you tack at the end of a project, but rather, it’s a mindset. It’s the process of constantly trying to understand the user and the problem at hand. Companies fail to effectively solve their problems or meet their goals because they don’t correctly identify the person or problem. Ask questions. What is the problem? Who is it for? In past, ideation phase of the design thinking process were typically saved for Project Managers or Engineers, but that doesn’t mean it can only be used by that department or function. Since design thinking is the mindset of asking questions, understanding and testing, everyone has the ability to do this. Don’t worry if you don’t have the budget for a new role. This is the part that people have the most trouble with: it’s important to understand that design thinking isn’t a one time thing, but rather it is a process of iterating on previous experiments so that the product can improve and become better. However, learnings can’t be implemented if there is no feedback process. Be open about what went wrong. Set an example that it’s okay to talk about what tests failed and use that to determine what can be better next time. View failure as learnings. If one approach did not work, it narrows down the list of possible approaches and gets you closer to the approach that will work. The goal of design thinking isn’t perfection, but to get the best answer possible. The best answer likely won’t be the first answer; thus, there needs to be a constant loop of getting feedback and testing new assumptions. Test and iterate as much as possible. Find new ways and angles to test your assumptions, you might come across something you would’ve never thought of otherwise. Have feedback sessions often. When you embrace feedback, not only does it create a safe space to innovate but also by talking about it, it prevents the same mistakes made again. Design thinking can help leaders like you to identify and solve meaningful problems for your organization. Like anything new, the process is like a muscle that you need to build and use. With a design thinking mindset, you can spend time effectively on solving the right problems and building things that will impact your organization’s success – and you can start now.